If ther kids cans do this, so's can I. Ummm. Would you minds giving ther horsey a push! Woo-hoo! Keeps going! 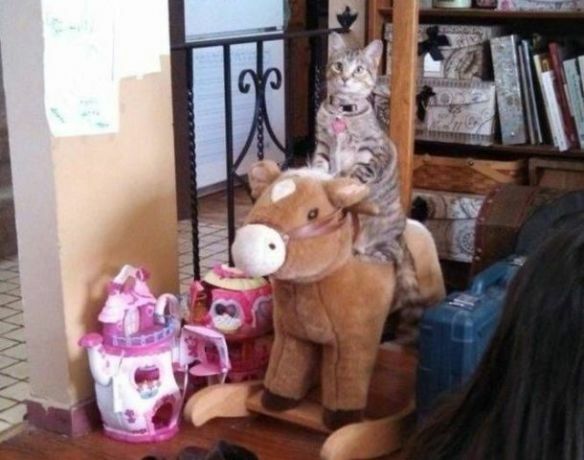 I is ther fastest kitty in ther West!